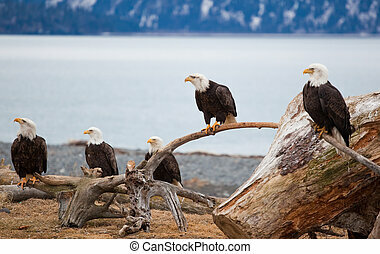 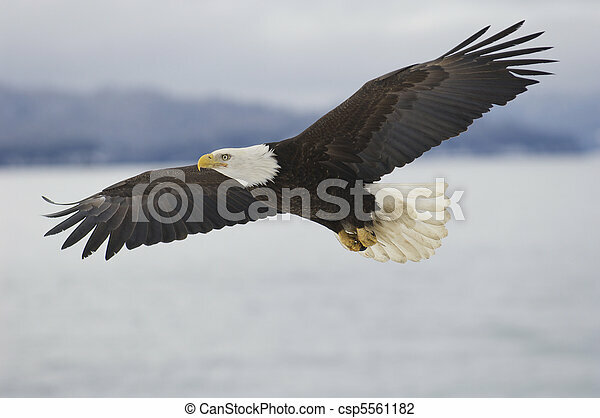 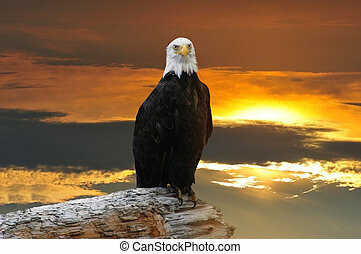 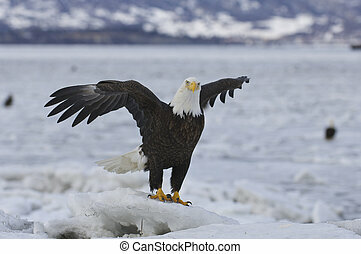 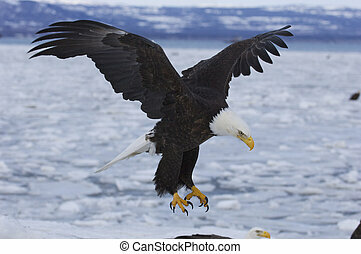 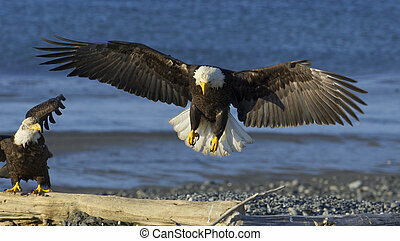 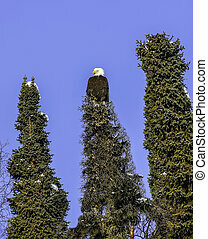 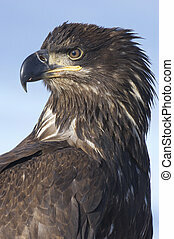 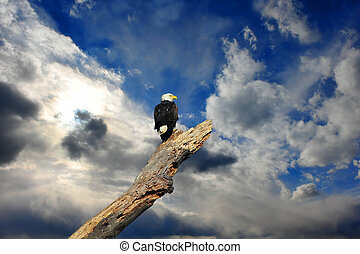 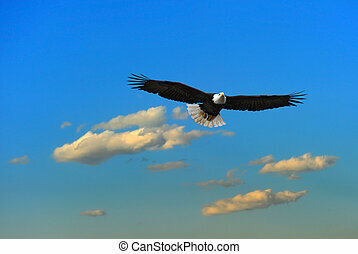 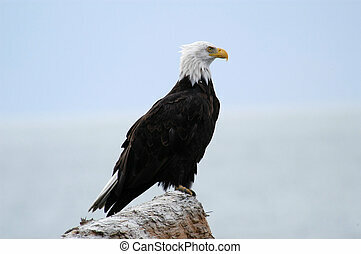 Alaskan bald eagle flying over water with mountains in background. 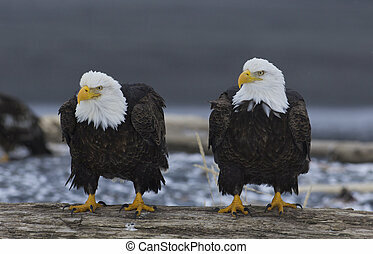 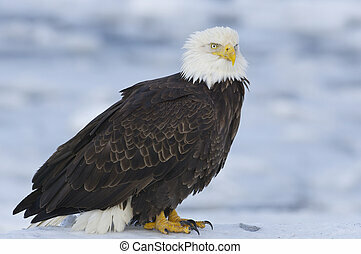 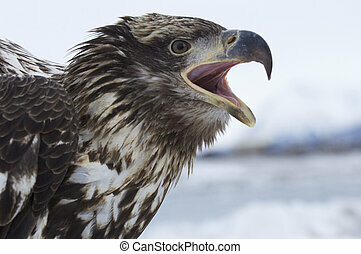 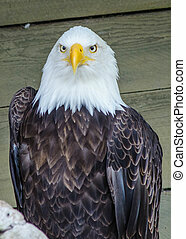 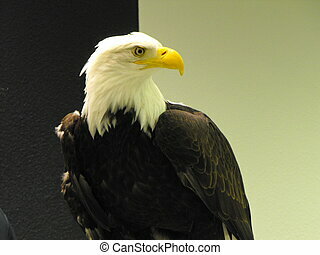 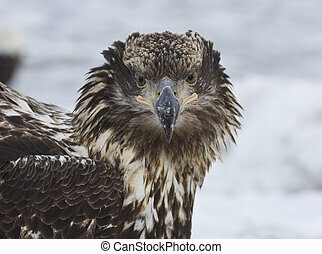 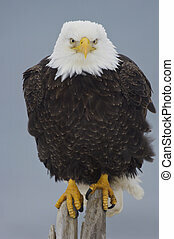 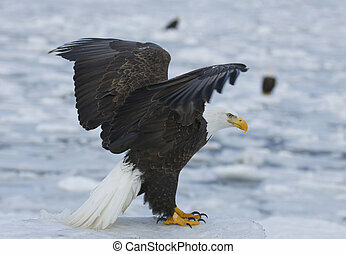 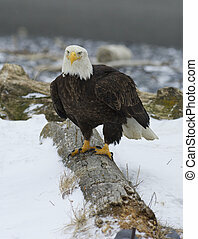 An Alaskan bald eagle recovering and being rehabilitated in a center in Sitka Alaska. 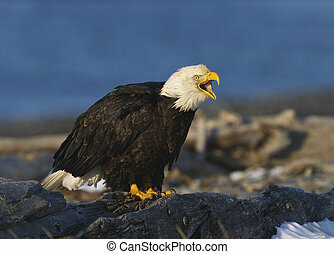 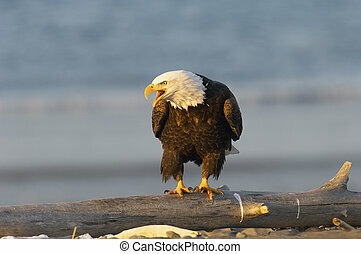 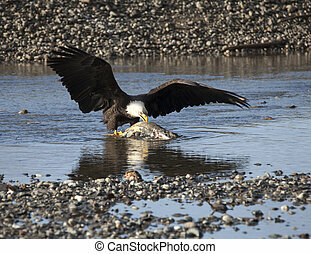 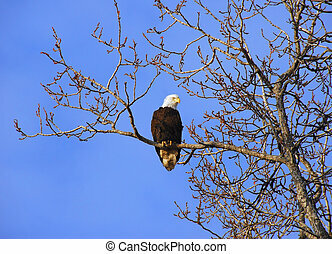 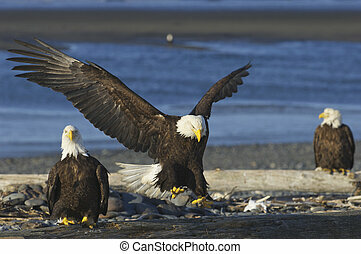 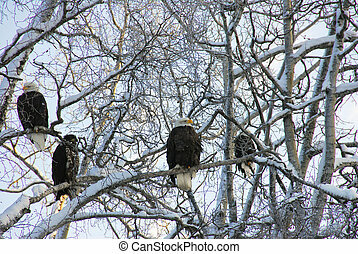 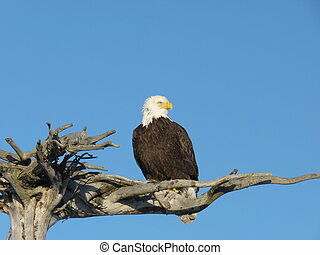 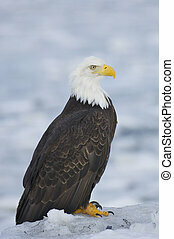 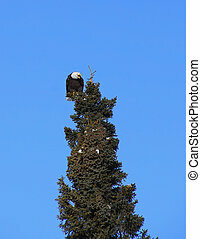 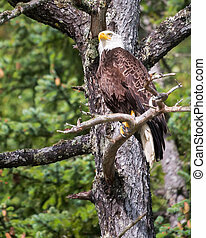 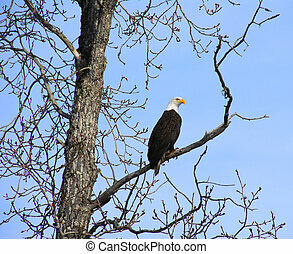 Bald Eagle eating a salmon on the Chilkat river hear Haines Alaska in fall.